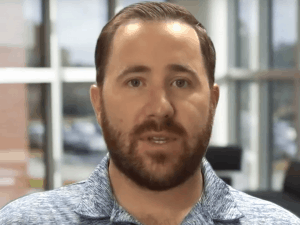 In this week’s International Association of Interviewers interview and interrogation training tip provided by Wicklander-Zulawski, Dave Thompson, CFI, vice president of operations for WZ, talks about the importance of the written statement. Often, at the end of an interview, we as the interviewers become mentally drained and exhausted. As a result, we sometimes take shortcuts on the written statement. That’s really a dangerous and costly mistake. One of the key pieces of information that we’re going to get when we leave the interview is the written or audio- or video-recorded statement from our subject. That statement can be helpful in a variety of different ways. Even if the interview doesn’t result in an admission or a confession, it does result in information. It’s important to give the subject the ability to document their version of the story so we can go back and corroborate that information—or prove that it was incorrect when we received it. The written statement can also serve as an important piece of evidence, whether it’s used in a criminal or civil trial. Some key pieces of evidence in the written statement often get missed: things like page numbers, signatures, time, or date. Maybe the subject made a promise to pay restitution somewhere in the written statement. The written statement needs to include the details of the specific crime, the subject’s intent, and whether they know what they did was wrong. The statement needs to include the explanation from the subject’s perspective of what happened versus the interviewer’s. There’s a lot of key elements in a statement. I challenge you in your next several interviewers to ensure that you don’t take shortcuts. Realize that the most important piece of the conversation is at the end. Don’t forget the importance of the statement. In a previous International Association of Interviewers interview and interrogation training tip provided by Wicklander-Zulawski, Dave Zulawski, CFI, Shane Sturman, CFI, and Wayne Hoover, CFI discussed the process of obtaining a written statement during the interview process. Before you ever obtain a statement, you have to worry about the setup. A perfect spot to begin starts with the detailed notes that establish what was admitted to by the individual, and also can be used as a piece of evidence as part of the case. This should also establish the elements of the crime or policy violation, and may provide additional value in detailing that a lie is told so that later it can be disproved through the investigation. It’s at this point that you give them the pen and paper, and expect that written statement. Just like you expect success when obtaining the admission, you should similarly expect that same level of expectation when obtaining the written statement.